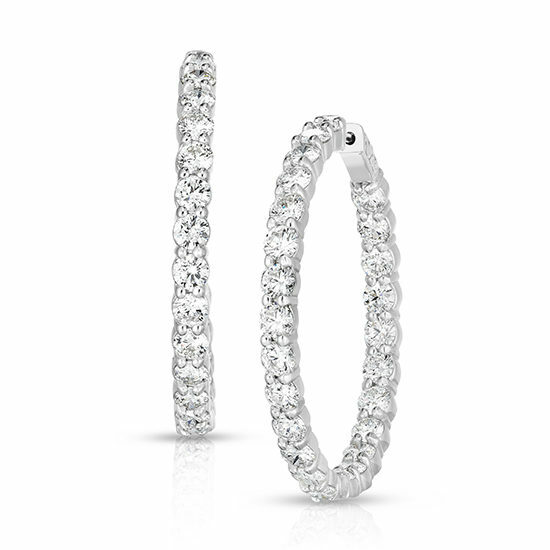 Beautiful, bold diamond hoop earrings containing 50 round brilliant diamonds prong set in 14k white gold. Total diamond carat weight is 9.35. Each diamond was perfectly selected and matched providing a stunning look. These earrings are 1.5 inches in diameter. Available for purchase online in store and online.